SWEDEN - In Sweden McDonald's Happy Meal packages (McD) appear to be different. 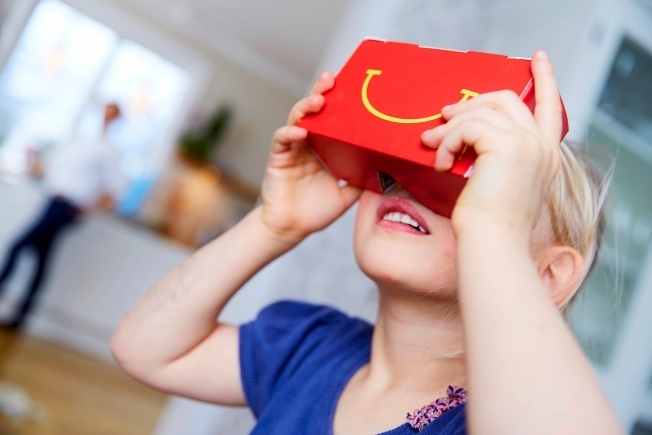 After use, the packaging can be assembled into virtual glasses. By Fox News Tueasday (03/01/2016) reported the packaging Happy Goggles presenting highly realistic virtual experience. By folding the several side, packaging can be a place to put a cell phone and used as sunglasses like Samsung Gear VR. You need to create the game application called "Se Upp I Backen" so users can watch animated Happy Googles and felt as you are skiing. In English "Se Upp I Backen" means "Watch Out on the Slopes" or "Be careful there Slope" in plain of language. The selection of this game is related to Sportlov, a Swedish families culture who spend a holiday with skiing. McD even reported the game "Se Upp I Backen" is officially supported by the Swedish ski team. Happy Goggles Packages available from March 5 to March 12 at a price of 4.1 USD. 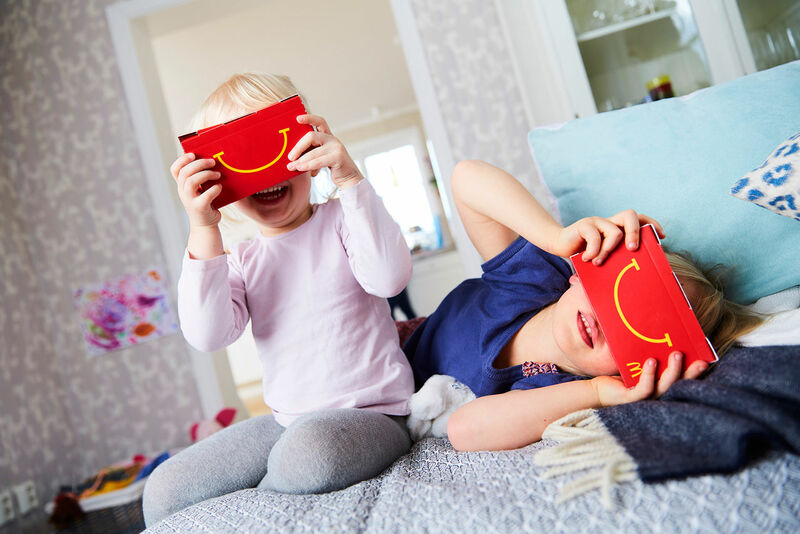 Jeff Jacket as Marketing Director of Sweden McD said, the packaging is intentionally designed to connect parents and children. "Parents can learn more about the knowledge of their children while realizing the digital world. Games like this is also a good joint activities because it helps the family interaction on an equal footing," he said. Unfortunately Happy Goggles is currently only available in Sweden. But the plan also will launch a Scandinavian McD. When this happens it's not likely Happy Goggles will be available in many places.